Georgina Born er professor innen musikk og antropologi ved Oxford University. Tidligere har hun jobbet som musiker sammen med Henry Cow, Feminist Improvising Group, Derek Bailey’s Company, samt andre grupper. Hun har også vært medlem av The London Musicians’ Collective. Hennes akademiske arbeid kombinerer etnografiske og teoretiske perspektiver på musikk, lyd, TV og digitale medier. Hun har skrevet: Rationalizing Culture: IRCAM, Boulez, and the Institutionalization of the Musical Avant-Garde, Music, Sound and Space og Improvisation and Social Aesthetics. Hun er ansvarlig for forskningsprosjektet Music, Digitization, Mediation: Towards Interdisciplinary Music Studies og har vært gjesteprofessor ved UC Berkeley, McGill og Universitetet i Oslo. Georgina Born is Professor of Music and Anthropology at Oxford University. Earlier, she worked as a musician with Henry Cow, Feminist Improvising Group, Derek Bailey’s Company and other groups and was a member of the London Musicians’ Collective. Her work combines ethnographic and theoretical writings on music, sound, television and digital/media. Her books include Rationalizing Culture: IRCAM, Boulez, and the Institutionalization of the Musical Avant-Garde, Music, Sound and Space, and Improvisation and Social Aesthetics. 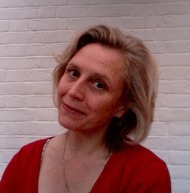 She directs the ERC funded research program Music, Digitization, Mediation: Towards Interdisciplinary Music Studies and has held visiting professorships at UC Berkeley, McGill and University of Oslo.